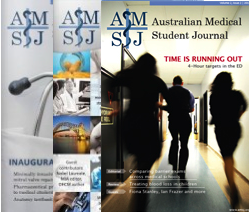 Within a poignant reflection and critical analysis of Australian medical school curricula, Bravery’s article ‘Oncology teaching in Australian medical schools: opportunities for patient-centred change’ brings to light the growing importance of cancer education for medical trainees and the need for meaningful integration with the existing curricula. It has been nearly a decade since the publication of the Ideal Oncology Curriculum for Medical Students by the Oncology Education Committee (OEC), originally as part of the Cancer Council Australia (CCA) . To date, multidisciplinary members of the OEC remain active and dedicated to improving oncology education across Australia and New Zealand with advocacy, collaboration with medical schools, and development of resources such as the free e-book “Clinical Oncology for Medical Students” . Australia has been one of the first countries internationally to present a national framework for the standard of oncology education. The CCA discontinued its affiliation with the OEC in late 2016, and the Clinical Oncology Society of Australia has not taken responsibility of the OEC. Within this changing landscape of medical education, increasing medical schools and work-force shortages, a growing proportion of paediatric and adult populations continue to be affect-ed and at-risk of cancer. It becomes even more important for students, medical schools, clini-cians and bodies such as the Australian Medical Council alike to be cognisant and proactive in promoting a high standard of oncology education in foundational years of training.